Whenever you connect to internet, your data is at risk of being accessed by others. Mac computers are no different and although true that at one time there were not many viruses being coded for the platform, its growth it popularity has come with an increase of vulnerability exploits. These third-parties may be companies that are trying to use your information with business or marketing purposes, or they can also be governmental organizations that are watching over everything you do or say online. But far worse, they can be fraudsters that are after your financial details. In every case, the security of your data and your right to privacy are being compromised and you need to take action to protect them. Staying away from internet is not a viable solution as most of our tasks nowadays require access to it. Thankfully, there is something you can do that is not only effective but also allows you to enjoy internet even more and that is using a VPN. A Virtual Private Network will allow you to keep your information secure, protect your privacy and even enjoy content from websites that are blocked in your country. There are many VPN providers available in the market, which means that you will find the right solution for your needs. If you are a Mac user, you need to get a VPN service that works well with OS X and that offers you all the features that guarantee that your information is safe online. We have listed the best five VPN providers for Mac. Without a doubt, HideMyAss (or HMA) is one the most recognized providers in the industry. They are well-known thanks to their extensive network of serves and high quality software. 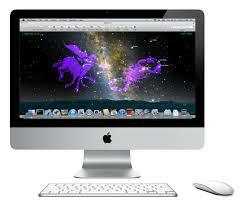 Their Mac client is very good and the company is not only extremely popular but also reliable. They have over 640 servers located in 76 countries that include USA, New Zealand, Kenya, Japan, Mexico, Colombia, Ireland and Czech Republic. You can switch between over 4000 IPs, which ensures that your identity remains protected whenever you connect to internet. Their interface is easy to use and their customer support is quite helpful and knowledgeable. You can also get your money back within 30 days if you are not entirely satisfied with HideMyAss but their service is so solid and versatile that this is not likely to happen. Even though IPVanish started relatively recently in the VPN industry, the company counts with a vast experience in Internet security services. What makes them stand out from the competition is the fat that they manage their own network, making them one of the most reliable providers. They have servers in 49 countries across the world in locations like Iceland, Panama, Indonesia, South Africa, Germany, Czech Republic, Ireland, Finland and Mexico. Their customer support team is very knowledgeable, ensuring that service you get has the highest standard. With IPVanish you get an impressive speed and top security for your data as they do not keep logs. They also give you the chance to get your money back within 7 days in case the service doesn’t convince you. What makes ExpressVPN a great option for Mac is the fact that it offers an outstanding Mac client and great cross-platform apps. An easy to use interface that makes things simple and great download speeds are other reasons to choose them as your provider. ExpressVPN automatically select the most suitable protocol and you can change your IP using their extensive selection of servers located in 40 countries, including South Korea, Ireland, Finland, Czech Republic and Russia. They also offer an excellent customer service that is always available and a 30-day money back guarantee. While the price of their plans is higher than what other companies offer, their impressive speed and strong set of features make ExpressVPN and option worth considering. This is a provider with an extensive experience in online security services and a solid knowledge about internet, which makes them a trustworthy option. StrongVPN provides an advanced fiber network bandwidth and they have servers in 20 countries such as Latvia, Malaysia, Norway, United Kingdom and Singapore. However, the amount of servers that you can access and the IPs that you can switch between are limited to the plan that you select. For instance, the basic plan only offers you the possibility to choose from 4 locations. Still, the speeds are quite good and their customer service is excellent. They offer a top technical support via live chat 24/7 and you can also avail of their 7-day money back guarantee in case the service doesn’t meet your needs. Innovation is one of the reasons why Private Internet Access stays positioned as one of the best providers available. While the installation process is not exactly simple, they offer a wide range of advanced features and a good performance. Private Internet Access counts with servers in 10 countries including Sweden, Canada, Germany and Hong Kong. Even though their network is limited, specially when compared with other providers, you can still change your OP address to protect your privacy whenever required. Their customer support can be reached through email and ticket support system. There is also a live chat option and the company has improved in the time and quality of responses. They have a 7-day money back guarantee.